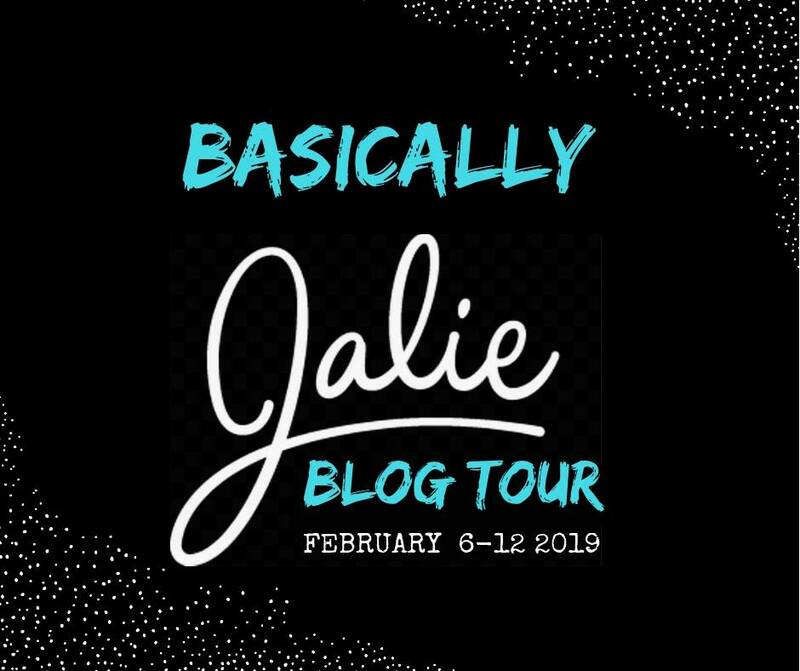 I have been a bad blogger of late. Between work and some personal issues, I just have not been motivated to sew as much or post anything. 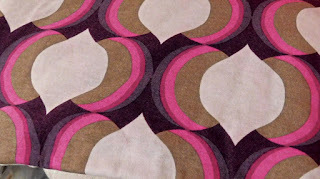 With some of those issues resolved, I am feeling better and ready to like get back to sewing and blogging. My denim dress is still a work in progress. I am going to use snaps instead of button and buttonholes.I just need to mark the placements and do it. While waiting to get motivated to install the snaps, I decided to pin fit Jalie 3352. With my recent completed Jalie raglan sleeve top, I decided to go down a size in the bust area. 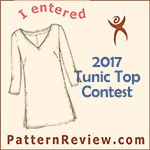 I raised the neckline about 1 1/2 inches as I find that Jalie necklines are too low for me. I did my usual swayback and forward shoulder adjustments. I also shortened the shoulder length by 3/8. The fabric I used was from GirlCharlee, knit fix purchase in January. I got sewing time in this weekend--yeah! 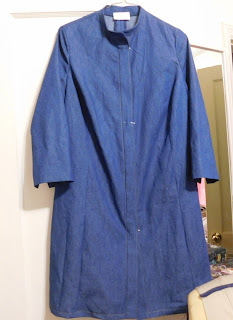 My lightweight denim dress is almost complete! This has taken forever it seems. Here is the dress in it final stages minus buttonholes and buttons. Warning-it really does not look all that great in this photo. I am contemplating going with antique brass snaps and using my snap setter instead of sewing buttonholes and buttons. The size 24 snaps are the same as 1/2 inch buttons that the pattern calls for. Here is a close up of the collar band. I decided not to add the collar to the neckband. Due in part to the how this sits at my neck now and not wanting to have yet another piece of fabric there. In an earlier post I said something about becoming a duster if I don't like how the dress looks when completed. This collar stand reminds me of the Nehru collars and long length jackets of the late '60's and early '70's. Crazy week. It is great to have a holiday and then you cram 5 days work into 4. TGIF! 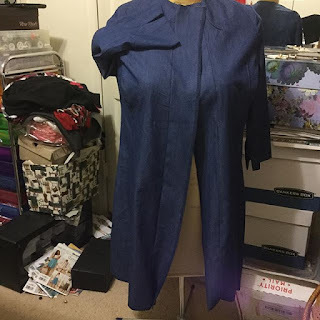 Thought about sewing a lot and pressed the hem of my dress ready to actually sew the hem and attach the collar, I am having some concerns about how this dress is going to fit. It may turn into a duster instead of a dress before it is complete. I have so many ideas running through my brain for what I want to sew next. I am gearing up for fall next even though it has been in the 90's all week. I signed up for Star's 30 minutes a day sewing related time. I think I have been hitting that target. 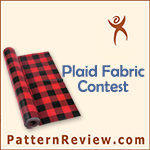 I am still working on McCall's 6124 pattern. I have added the sleeves and attached the front band. What's left to do is attached collar stand and collar, button holes and buttons, hemming. I have had to sew intermittently because I have pulled a muscle in my lower back so sitting makes it worse, standing and walking helps. The dress has required lots of fitting adjustments made while sewing it. This is one of those projects that is taking longer to sew and I start losing interest in. Since then I have folded the front bands and stitched. Getting ready to sew the 5/8 inch hem.